All FastFingerprints Corporate locations, Hondros College locations, ARCpoint lab locations, ALTN Waugh Dr, ALTN FM1960, ALTN Tomball Pkwy, ALTN Katy Freeway, ALTN Holcombe Blvd, ALTN League City, Drug Test First- Dallas East, Drug Test First- Dallas South, Cleveland-Mentor, Cincinnati North College Hill, Winston Salem Arcpoint Labs, ALTN Knoxville TN, Cleveland Euclid, and Ravenna will be closed Friday, April 19 and Saturday, April 20. Normal business hours will resume on Monday, April 22. FastFingerprints Cincinnati (inside American Compassionate Care) is located at 5960 Glenway Avenue, Cincinnati, OH 45238. Services include livescan fingerprinting for Ohio BCI/FBI background checks, Florida Level 2 background checks and electronic fingerprint capture for FBI Channeling. Walk-ins and appointments welcome! Hours: Monday-Friday 9:00am-5:00pm and Saturday 9:00am-1:00pm. Walk-ins and appointments welcome! FastFingerprints Fort Worth (inside Any Lab Test Now) is located at 2700 Western Center Blvd., Suite 100, Fort Worth, TX 76116. Services include livescan fingerprinting for Florida Level 2 background checks, and electronic fingerprint capture for expedited FBI background checks (FBI Channeling). Hours: Monday-Friday 8:30am-5:30pm and Saturday 10:30am-1:30pm. Walk-ins and appointments welcome! FastFingerprints Raleigh (inside ARCpoint Labs) is located at 3813 Junction Blvd, Raleigh, NC 27603. Services include livescan fingerprinting for Florida Level 2 background checks and electronic fingerprint capture for expedited FBI background checks (FBI Channeling). Hours: Monday-Friday 8:00am-5:00pm. Walk-ins and appointments welcome! FastFingerprints Winston-Salem (ARCpoint Labs) is located at 3726 Vest Mill Rd, Winston-Salem, NC 27103. Services include livescan fingerprinting for Florida Level 2 background checks and electronic fingerprint capture for expedited FBI background checks (FBI Channeling). Hours: Monday-Friday 8:30am-5:00pm. Walk-ins and appointments welcome! FastFingerprints Daphne (inside Any Lab Test Now) is located at 2200 US Hwy, Suite 5B, Daphne, AL 36526. Services include livescan fingerprinting for Florida Level 2 background checks and electronic fingerprint capture for expedited FBI background checks (FBI Channeling). Hours: Monday-Friday 8:30am-4:30pm. Walk-ins and appointments welcome! FastFingerprints Palm Harbor (inside Home Instead Senior Care) is located at 31950 US HWY 19 N, Palm Harbor, FL 34685. Services include livescan fingerprinting for Florida Level 2 background checks and electronic fingerprint capture for expedited FBI background checks (FBI Channeling). Hours: Monday-Friday 9:30am-4:30pm. Walk-ins and appointments welcome! FastFingerprints Stuart (inside Real Estate of Florida) is located at 2391 SE Ocean Blvd, Stuart, FL 34996. Services include livescan fingerprinting for Florida Level 2 background checks and electronic fingerprint capture for expedited FBI background checks (FBI Channeling). Hours: Monday-Friday 9:30am-4:30pm. Walk-ins and appointments welcome! FastFingerprints Scottsdale-Arizona (inside ARCpoint Labs) is located at 15455 N Greenway Hayden Loop, Suite C, Scottsdale, AZ 85260. Services include livescan fingerprinting for Florida Level 2 background checks, fingerprint card printing and electronic fingerprint capture for expedited FBI background checks (FBI Channeling). Hours: Monday-Friday 8:00am-4:30pm and Saturday 9:30am-11:30am. Walk-ins and appointments welcome! FastFingerprints Tucson-Arizona (inside ARCpoint Labs) is located at 6401 S Country Club Rd, Suite 105, Tucson, AZ 85706. Services include livescan fingerprinting for Florida Level 2 background checks, fingerprint card printing and electronic fingerprint capture for expedited FBI background checks (FBI Channeling). Hours: Monday-Friday 8:30am-4:30pm Walk-ins and appointments welcome! FastFingerprints Hamilton-New Jersey (inside ARCpoint Labs) is located at 1542 Kuser Road, Suite B4, Hamilton, NJ 08619. Services include livescan fingerprinting for Florida Level 2 background checks and electronic fingerprint capture for expedited FBI background checks (FBI Channeling). Hours: Monday-Friday 8:00am-5:00pm. Walk-ins and appointments welcome! FastFingerprints Dayton-Production Court (inside ARCpoint Labs) is located at 3019 Production Court, Dayton, OH 45414. Services include livescan fingerprinting for Ohio BCI/FBI background checks, Florida Level 2 background checks and electronic fingerprint capture for FBI Channeling. Walk-ins and appointments welcome! FastFingerprints Cincinnati-Central (inside Eastern Personnel Services) is now open. Services include livescan fingerprinting for Ohio BCI/FBI background checks, Florida Level 2 background checks and electronic fingerprint capture for FBI Channeling. Walk-ins and appointments welcome! Both locations offer livescan fingerprinting for Florida Level 2 background checks (AHCA photo capability), electronic fingerprint capture for FBI Channeling and indefinite fingerprint storage. Walk-ins welcome! FastFingerprints Las Vegas (inside Safe Ship) is located at 7250 S. Durango Dr., Suite 130, Las Vegas, NV 89113. Hours: M-F 9:00am-5:30pm, Sat 9:00am-2:00pm. FastFingerprints Las Vegas (inside ARCpoint Labs) is located at 3365 East Flamingo Rd., Suite 4, Las Vegas, NV 89121. Hours: M-F 8:30am-5:00pm, Sat 9:00am-2:00pm. FastFingerprints (inside Unique Med Home Health Care) is located at 1750 N. Florida Mango Rd. #102A, West Palm Beach, FL 34409. Hours: M-F 9:00am-4:30pm. Services: Livescan fingerprinting for Florida Level 2 background checks, fingerprint capture for FBI Channeling, and indefinite fingerprint storage. Walk-ins welcome! FastFingerprints Okeechobee (inside Okeechobee Discount Drugs) is located at 203 SW Park Street, Okeechobee, FL 34972. Hours: M-F 9:30am-6:00pm, Sat 9:30am-3:30pm. Services: Livescan fingerprinting for Florida Level 2 background checks, fingerprint capture for FBI Channeling, and indefinite fingerprint storage. Walk-ins welcome! FastFingerprints Orlando (inside Goin' Postal) is located at 12397 S. Orange Blossom Trail, Orlando, FL 32837. Hours: M-F 9:30am-6:30pm. Services: Livescan fingerprinting for Florida Level 2 background checks, fingerprint capture for FBI Channeling, and indefinite fingerprint storage. Walk-ins welcome!! FastFingerprints Hamilton (inside Family Support Care) is located at 3991 Hamilton Middletown Road, Suite I, Hamilton, OH 45011. Services include livescan fingerprinting for Ohio BCI and FBI background checks, fingerprint capture for FBI Channeling, Florida Level 2 Livescan background checks and indefinite fingerprint storage. Walk-ins welcome! Services: Electronic fingerprint capture for FBI Channeling, livescan fingerprinting for Ohio background checks (BCI & FBI) and Florida Level 2 background checks (FDLE & AHCA approved) and indefinite fingerprint storage. Walk-ins welcome! FastFingerprints Phoenix (inside PakMail) is located at 4747 E. Elliot Road #29, Phoenix, AZ 85048. Services: Florida Level 2 livescan background checks, electronic fingerprint capture for FBI Channeling and fingerprint card printing. Hours: Monday-Friday 9:30am-5:30pm, Saturday 9:00am-noon Walk-ins welcome! 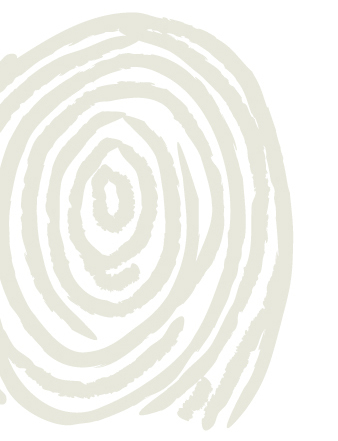 Do you need a fingerprint background check for an Ohio medical marijuana license? FastFingerprints, a national webcheck provider, electronically submits fingerprints for Ohio BCI and FBI background checks for medical marijuana employees/owners (dispensaries, cultivators, labs, etc.). We even have the BCI/FBI codes to make the process fast and easy for you! Visit one of the convenient FastFingerprints locations in Ohio. Walk-ins welcome! With the advent of privacy laws and increases in security that have taken place in the past decade, employee background checks are becoming more of a reality for many businesses. Although many industries have always required some form of employee background check, including fingerprinting and drug screening tests, many more industries and professions are adopting these security measures due to changes in Ohio state law. FastFingerprints provides several convenient locations throughout Ohio, making it easy for your employees or candidates to receive prompt and efficient service. Additionally, our employee screening team can come to your office and save your employees the time and travel. FastFingerprints accelerates your licensing or hiring process, helping you make important decisions in a timely, convenient and cost effective manner. See the listing of Industries we currently serve. FastFingerprints is committed to helping businesses and families protect themselves in every possible way. Make sure you choose the fastest, easiest and most secure way to perform an electronic fingerprint based background check on your associates. Visit our FastFingerprints Washington, DC office!! We can provide that service and scan your fingerprints directly to the Florida Department of Law Enforcement (FDLE)!!! Walk-ins are welcome!! If you don't live in Florida or near Columbus, OH, Cleveland, OH, Ravenna, OH, Erlanger, KY, Irving, TX, Dallas, TX, Charlotte, NC, Washington, DC, then our Florida Card Scanning services are for you!!!! Send your fingerprint cards to our Florida Card Scanning Division, located in our FastFingerprints Bethel Road office at 1486 Bethel Road, Columbus, OH 43220.